The Rapid Forensics project, led by the Wakefield-based Regional Scientific Support Services (RSSS), has introduced digital transmission of forensic evidence such as fingerprints and bootprints. It allows forensics experts to send high-quality images directly from the scene to colleagues in the RSSS identification bureau, who are tasked with checking for matches on national databases. Just last week it helped officers investigating a hit-and-run to identify the suspected driver within a few hours, when previously it might have taken days. 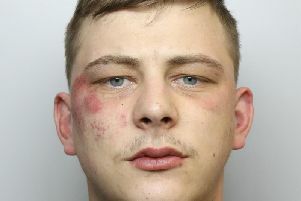 Detective Superintendent Nick Wallen, of West Yorkshire Police’s Protective Services (Crime) Department, said the speed at which results were being returned and the positive outcomes this generated in investigations were key. He said: “It’s that sense of making a difference that officers will have when they go to a crime scene and they see the impact that crime has on the victim – but within hours they are able to report back to a victim that, as a result of this new process, we’ve got a suspect’s DNA or fingerprints. A picture is taken of fingerprints found by a forensics investigator at a mock crime scene. The two-year regional project, which is due to end in March, is part of the national Transforming Forensics programme. It is a collaboration between all four police forces in Yorkshire and the Humber, with the expected £4.1m cost being met through the Police Transformation Fund and the Home Office. West Yorkshire police and crime commissioner (PCC) Mark Burns-Williamson, the national PCC lead for Transforming Forensics, said: “I fully support this work which has the potential to be a real game-changer for police investigations. Senior crime scene investigator Ian Prince transfer the picture to his tablet, ready to transmit it digitally from the scene back to the identification bureau. Neil Denison, the director of scientific support services at RSSS, said the work being done in our region would inform how forensic services were performed nationally. “This is real science in action, making a real difference to the communities we serve,” he said. The images received by the identification bureau are checked against the database, bringing up a match. While the digital evidence transmission has proved a huge success since it began in April, the results of a second strand were less encouraging. Part of the project funding was used to buy six cutting-edge machines with the potential to rapidly analyse DNA at the RSSS base in Wakefield and five custody suites around the region.